Aileen: Welcome to The A&P Professor, a few minutes to focus on keeping human anatomy and physiology with host Kevin Patton. Kevin Patton: This is a bonus episode focusing on helping students with test anxiety. Kevin Patton: Before I get started, I wanna let you know that this is a bonus episode, and if you’re a regular listener you know what that means, that means it’s just a really long one, long episode. So sit back, brew yourself a cup of tea, and enjoy the ride. Kevin Patton: The Proceedings of the National Academy of Science recently released a research report titled Biparental Inheritance of Mitochondrial DNA in Humans. And at first glance, it seems to kind of fly in the face of the dogma that we have in genetics that says that mitochondrial DNA, or mtDNA, is transmitted from mother to offspring. But because the mitochondria from the sperm don’t get into the egg during the process of fertilization, at least not in any great quantity, that they’re not really part of the mitochondrial genome in the offspring. Only the maternal mitochondrial DNA is. So, ordinarily, that would be uniparental inheritance of mitochondrial DNA. Kevin Patton: But this research group found that there were a few families, there were three unrelated families, and they looked at several generations within each of those families, and found that they had a high level of both the maternal and paternal mitochondrial DNA. And that’s not what we’d expect, as much as a 76% mixing of the two in some individuals that were studied. Kevin Patton: So in those families, at least in those individuals, it’s not just a small little effect. It’s truly biparental inheritance of mitochondrial DNA. And they found that that characteristic, when they studied it, and how it was transmitted throughout that family, looking at the pedigree basically of the family, they found that it was transmitted sort of like an autosomal dominant trait would be inherited. Kevin Patton: So what they’re trying to do next, or suggesting next, is to figure out the molecular mechanisms for how and why that’s happening. It’s sort of another step that we can take in understanding the mitochondrial genome and the inheritance of mitochondrial DNA, and of course the next step after that is applying whatever we learn to mitochondrial diseases. Kevin Patton: Even though at first glance it looks like the uniparental, that is maternal, inheritance of mitochondrial DNA has been overturned, that’s not what they’re saying. What they’re saying is, “Nope, that’s still the dogma, it’s still maternal, but there are some exceptional cases. So let’s study those exceptional cases. And it’s not just one family it happens in, it’s more than one family, so there’s probably more out there. So let’s look into that and see what’s going on.” As usual, we’re just finding out things are way more complicated than we first suspected, but that’s part of the fun of science, right? Kevin Patton: I remember excitedly telling my students a number of years ago that they had found cardiac stem cells in the cardiac muscle tissue of the heart, and what a breakthrough discovery that was, because that had the potential of leading us to maybe stimulate repair of heart muscle after various kinds of cardiac episodes, such as myocardial infarction and so on. In those intervening years, there’s been a lot of research that was based on this idea of the there being cardiac stem cells there, and how do we learn more about them, and how do we maybe learn how to stimulate them in specific cases and so on. Kevin Patton: And it turns out that, well, somebody pulled on a little thread of that data and found out that it wasn’t quite what it first appeared to be. And the more they pulled on that thread, the more investigation they did, the more they realized that these original studies included falsified data, fabricated data, and the cardiac stem cell researcher behind all of this, Piero Anversa, has been reprimanded, and the journals are now … Circulation, for example, and so on is retracting papers, Lancet has come out expressing concerns about the results of some of this research and so on. Kevin Patton: So basically it’s looking like, right now, that there are no cardiac stem cells. At least we haven’t demonstrated it, that anything that’s out there that was demonstrating it appears to have been falsified. So we have to throw out all kinds of work that, not only that lab that originally discovered it, or said they discovered it, plus all these other labs that are building upon that and doing additional research, it all kinda gets thrown out the window now, which is unfortunate. Kevin Patton: But I wanted to mention it because I’m gonna have to throw it out of my window too, and maybe use it as a teaching moment with my students, to show what happens, when bad things happen in science it can really have a ripple effect that is far-reaching. Kevin Patton: The A&P Professor Podcast is sponsored by the Human Anatomy & Physiology Society, HAPS, promoting excellence in the teaching of human anatomy and physiology for over 30 years. Did you know that registration for the annual conference next May in Portland, Oregon is open? And did you know that there’s a substantial early bird discount? So check that out now at theapprofessor.org/haps. Kevin Patton: If you’re a regular listener to this podcast, you know that my show notes and the episode page at theapprofessor.org always has a bunch of links that will take you to other resources if you wanna dive deeper into any of the topics or ideas that I bring up in the podcast, or that any of our guests bring up in the podcast. Kevin Patton: And I’ve heard back from a few of you that say you tried to go to a link and all that’s there is the title of a journal article, or maybe the title and an abstract, and you can’t get to the journal article because it’s behind a paywall. You probably have experienced that following other kinds of links as well. Kevin Patton: And, well, that’s just the way some journals are set up. Not all journals are open journals, and those that are not open, that have a subscription that is required, they will let you buy journal articles on a per article basis, but that can really add up, that can be 10, 20, even higher dollars per article. And if you just kinda wanna browse through it and see what’s there, that’s pretty pricey. Kevin Patton: There are a bunch of illegal ways, although they’re kind of clamping down on those, to try to get a copy of that article without paying the price, but there is a free way that’s not only ethical and legal, it’s encouraged, and that is go to your friendly neighborhood librarian. And when I say neighborhood librarian, I mean your school librarian, your college or university librarian. But you could go to your neighborhood library for this as well. Kevin Patton: You probably already know of the concept of InterLibrary Loan, and for many years I always envisioned that as, well, they don’t have the book on the shelf here because somebody checked it out, or they just didn’t buy that book and put it on the shelf at this library, or this branch. They can call another library and have it shipped over, and I can borrow the copy from the next town over, or even a couple of towns over, somewhere else in the state, and get that book. That is one way that InterLibrary Loan system works. Kevin Patton: But universities participate in InterLibrary Loans where if they don’t subscribe to a particular journal, or a particular database that includes that journal, they can probably find that through this network and get a copy of that, a PDF file of that article, from some other university and get it to you. And in this day and age, when everything is digital, you can get that sometimes within a few minutes, usually it takes several hours, sometimes up to a couple of days depending on how hard it is to find. Kevin Patton: But I do this all the time, where there’s an article that I want to dive into it, and I can’t because of this paywall, and I look on our college libraries … And I teach at two different colleges, so I have two different ones I can try … And a lot of times the school doesn’t subscribe to it either, or the databases they subscribe to don’t have it, so what do I do? The next thing I do is there’s usually just a little form I fill out and put the title and the author and all the other bibliographical information, press a button, and an hour later I get an email that has the PDF attached. Kevin Patton: Now, there’s a caveat to it, you can’t then redistribute it other places, it’s only for your own private use, for your teaching or your research or your writing of an article or whatever it is. But there are a lot of A&P professors out there that don’t fully realize, maybe somewhere in their brain it’s banging around, but you don’t realize that that’s how you get past those paywalls. And it doesn’t cost you anything. It costs somebody something, but you’re part of a network, you’re part of an academic network, and you can do that. Kevin Patton: If you have trouble with that, let me know and I’ll give you some more advice. Just contact me at podcast@theapprofessor.org, or use the podcast hotline at 1-833-LION-DEN. Kevin Patton: A searchable transcript and a captioned audiogram of this episode are funded by Triple A, the American Association of Anatomists at anatomy.org. 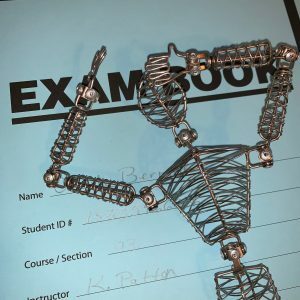 Kevin Patton: Test anxiety. You know, it feels like test anxiety is something that’s out of our hands, and our students feel like it’s out of their hands too. It’s just this big block that no one can move. But that’s not true. There are things they can do, and things we can do, and things we can do to help our students see and implement the things they can do, to alleviate test anxiety, or at least to manage it. Kevin Patton: Before I get into specific suggestions, I wanna tell you my theory of test anxiety. And that is, we all have it. At least every once in a while I think we’ve all experienced some level of test anxiety. As far back as I can remember I’ve been a pretty confident student when it came to tests. Kevin Patton: Even if I didn’t know the material, I didn’t really get too worked up about it, and I do have some decent test-taking skills, so sometimes I can figure out part of it, and sometimes I actually know more than I think I knew walking into the test. So I either do okay or I don’t, but it doesn’t stop me from performing my best, whatever that level is. But every once in a while I get this almost paralyzing form of test anxiety that really messes me up. Kevin Patton: One story that pops to mind is when, many decades ago, I don’t know, like 30 years ago, I tried out for the TV game show Jeopardy!. And back in the olden days the way you did that was the producers would show up in a city and announce that they’re doing tryouts for Jeopardy!, and you would show up at some location. Kevin Patton: And that’s what I did, I got there early, I think I was the first one there, and the doors were locked, and of course I have a little bit of panic because I’m thinking, “Oh my gosh, I’m at the wrong place,” but no, I was at the right place. And as people started coming in, waiting for the doors to open, these folks brought philosophy books to read to pass the time, and they seemed really smart, and then we started chatting and they told me how smart they were. Kevin Patton: Now looking back on it, I realize that probably what they were doing was trying to bolster their own confidence by saying that. But it ended up intimidating me in an area that I’m usually not intimidated in. So the doors open up, we go in, we sit in these little desks that they had set up, and mine was right in the front row. So I’m kinda just looking down and thinking about my own anxiety, which is not a good … That’s your first tip in this episode, is tell your students not to think about how anxious they are and really focus on it and make it worse. Because that’s what was happening to me. Kevin Patton: What happened was this guy comes and stands right in front of me, and I’m thinking, “Oh my gosh, is this another smart guy gonna tell me how smart he is?” And when I say guy I don’t mean to be sexist. It was all men in the room, I swear, it was all men in the room. So another man walks up in front of me and I thought, “Is he challenging me or what?” And I look up and it’s Alex Trebek, the host of the show, and he walked in because it was time to start. Kevin Patton: And he explained, the process would be that we would have this written test where we would be given questions and we’d have to write out an answer, which is kind of intimidating, because that’s not how the game is played. You get the answer, and you’re supposed to come up with a question, here it was the other way around. Well, okay, that’s a usual sort of test anyway, so I can do that. Kevin Patton: So they said, “If you don’t get a certain minimum score on the written test, then you can’t do the real tryout,” which is where you stand there and give questions like you would on the game show and see how fast you are. Because that’s really a very important part of the game, obviously, is not just what you know but how fast you can say it and how fast you can press the buzzer. Kevin Patton: I’d already been on a TV game show before, in high school I was the captain of our high school team for a local quiz show where the high schools battled it out. And we did pretty good. So I thought, “Okay, I have some level of competence here.” So even though I was somewhat nervous and somewhat intimidated, I started to feel good. Kevin Patton: So they pass out the test, first question is about … It’s asking the capital of I think some European country, probably one that doesn’t even exist anymore. And I thought, “Oh, this is great, this is my strong area, I’m really good at this, I know all the capitals of all the countries,” and I looked down and I thought, “Oh my gosh, but I can’t think of this one.” And I got nervous about it, and of course what you’re supposed to do is then move on from there and go to the next one, and just don’t worry about it, and if there’s time left at the end, then worry about it. Kevin Patton: I just couldn’t let it go, and I spent a lot of time on it, and I’d go to the next question, and I’d think, “But I should know that first one,” and I’d go back to it. And then I’d do another question or two and then I’d come back, and then another question or two and I’d come back. I was paralyzed, I just couldn’t get that out of my head, I couldn’t even focus well on the other questions. Looking back, they were all pretty easy questions, but I bombed it, I didn’t make it to the next level. And no wonder, because I got such a bad case of test anxiety I just couldn’t do it. Kevin Patton: And that’s what our students experience, at least at some level, when they have test anxiety. It’s not rational, and it’s not something they can easily push out of their heads. It’s something that’s weird, that is beyond just their abilities to answer the questions. Kevin Patton: There are some things that you can do to manage that test anxiety and refocus yourself. I didn’t know any of those things at the time, I didn’t even know that … Well, I probably didn’t even realize there was such a thing as test anxiety back then. And I certainly didn’t know of any techniques to get my mind where it needed to be. Kevin Patton: It wasn’t till a number of years later, when I was working on my PhD, and I went to a few different seminars on neuroscience, and it turns out that another doctoral student in psychology was also showing up to those, and we kinda got to be buddies because we always saw each other at these neuroscience seminars. And I asked him what he did, and he worked at a college too, like I was at the time. And he said his job there was working in the Student Services Department to help students with test anxiety. So I learned a lot about test anxiety from him, and I learned just the simple fact that there are things you can do. Kevin Patton: Now, one of the techniques he used was sort of an indirect form of hypnotism, where he could sort of suggest to students some ways that they could change their thinking during a test. And it seemed to be very effective, at least according to the research that this guy was citing to me, and in his own experience. Kevin Patton: So that was the first thing that got me to think about the idea that test anxiety is a thing, and it’s something that can be managed. It’s also something that we can help others with, as teachers we can help our students. We can help them as a class to be less anxious about a test, and prepare for and deal with test anxiety. Kevin Patton: We can do that individually, I get a lot of students who come to me individually and say, “Look, I was really prepared for that test, I really knew my stuff, but once I got in there I just freaked out. So what can I do?” Well now I have some tools in my toolbox that I can pull out and suggest to them and work with them a little bit, and help them find some additional resources to work on that test anxiety. Kevin Patton: I also started realizing that there are many strategies out there, and some strategies work better with one group of people, or one individual, and other strategies work better with other individuals. In other words, one size doesn’t necessarily fit all. So keep that in mind as we go through some of the suggestions that I have, which is not an exhaustive list, it’s just to get us started thinking about how we can help our students with test anxiety. Kevin Patton: And I think the first thing that we can do is to avoid anxiety provoking tests. In other words, think about the test itself that we’re giving. Is it some weird, confusing format of test, or the question types, is that some weird, convoluted kind of question that we’re asking that is going to get students all nervous and intimidated before they even get to the point where they can analyze what it’s asking them, and whether they can retrieve that information and tell us what the answer is? Kevin Patton: Do we even put trick questions on there? Either questions that are intentionally tricky, I’m not talking about difficult questions, I think we need to ask a mix of easy and difficult questions, so I’m not saying avoid difficult questions. But are they intentionally tricky? Are we just trying to trip them up for no good reason, rather than it just being a legitimately difficult test item to figure out? Kevin Patton: And that kinda leads to analyzing do we have well constructed tests or badly constructed tests? Because badly constructed tests can really mess students up. All students are nervous, remember Kevin’s theory of test anxiety, we all are prone to having test anxiety, we all have that in us, that we can get or develop test anxiety, maybe even to that paralyzing level that I had during that Jeopardy! tryout. Kevin Patton: And so if we have a badly constructed test, then maybe we can trigger that in people that it wouldn’t have been triggered in otherwise. When I say a badly constructed test, what I mean by that, are they badly conceived test items? In other words, they’re just not worded well, it’s confusing as to what exactly we’re asking. Kevin Patton: The same thing with spelling errors, or capitalizing things in appropriately, or even things as minor as forgetting to use the superscript for the charge on an ion, like Na^+ or Cl^- or something like that. They might be thinking, “Oh, it’s not a superscript, so therefore it’s wrong, so therefore that changes the whole meaning of this test item,” when in fact we were just too lazy to use the superscript. Kevin Patton: And so you gotta think about those things because that really can impact, maybe only one or two students, maybe a lot of students, but we don’t know that. So why set them up for that kind of a situation? Kevin Patton: Speaking of situations, think about the test environment itself, the situation of the test. Are there distractions? Is it as comfortable as you can make it? Is there tension in the room? Of course, some of those things are beyond our control, but quite a bit of it is within our control. And are we going to be conscious of that, and maybe make a little extra effort in making sure that the testing situation itself is not anxiety provoking? Kevin Patton: Because we’re trying to test their knowledge. We’re not there to do a stress test. It can be something very minor, like just how we’re watching them when we take the test. Of course, we have to watch them when they’re taking the test because we have to monitor for cheating and also see if there are any issues going on and so on. But we wanna make sure that we’re doing it in a way that it’s not coming across to them like we’re glaring at them, or we’re staring them down, and so on. Because that can really make them nervous. Kevin Patton: Remember how I said I got nervous when Alex Trebek came and stood right in front of my little table until I realized what was going on? Do we do that during an exam, where we stand right in front of a student’s table? Maybe we’re looking over their head and looking at something else, but for that student right there, that’s going to make them nervous, that could throw off their whole game just by doing that for a few seconds. So we need to think about that, and think about how we’re moving in the room, what we’re doing in the room. We need to think about our affect. Kevin Patton: And that goes beyond just how we’re moving around and so on, it also means how welcoming am I? How calming am I in my demeanor or my affect in the classroom on test day? Maybe on every other day I wanna have a variety of different kinds of affects that I’m projecting, but on test day I wanna make my students feel comfortable. Kevin Patton: Do I take a moment to encourage my students, maybe give them a little mini pep talk, “You can do this, it’s gonna be all right. I’m here to help you.” And that leads to the question, “How do I handle student questions?” I’ve been in courses where we weren’t allowed to ask questions, and that can be very anxiety-provoking, and maybe there’s a good reason not to allow student questions in certain tests. But they need to know that ahead of time, and maybe be given a rationale for why that is the case. And that in itself I think can calm a lot of students down and make it less anxiety-provoking. Kevin Patton: But I ordinarily welcome student questions, and I’m very careful to tell students that they have to come to where I am, and I can maybe step away from the larger group a little bit to answer that question. Because I might give them a little bit of guidance, not necessarily give them the answer, certainly not give them the answer, but sort of guide their thinking a little bit and get them back on track. If they’re confused by the question or they’re confused by their own thoughts about the question, I can maybe get them back on the right track. Kevin Patton: And I don’t wanna distract the students around them. If I came to where the student is sitting, that whole operation of me getting to that student is gonna be disruptive to the students around them. But then the conversation I’m having is gonna be disruptive as well. Kevin Patton: It kinda reminds me of another situation that I had with test anxiety back in high school. One of my favorite biology teachers of all time, Mr. Calhoun, Alpha Calhoun, he was one of my inspirations for going into teaching in the first place. He was teaching a biology class, and we had this test where we had a bunch of problems with Punnett squares, it was a genetics test. And we had to answer questions, but we had to work out these Punnett squares first in order to be able to answer the questions. Kevin Patton: And I knew how to do them, I had practiced those types of items, and I didn’t really find them that difficult. But when I got on the test, for some reason I just couldn’t fill in the Punnett square, I just couldn’t … I didn’t even know where to start. Mr. Calhoun, who was looking around the room, he saw how frustrated I was, it was probably written all over my face, and he came over and he said, “You having any problems?” I said, “I just can’t get started here.” Well, he asked me some guiding questions, kind of affirmed that I was kind of on the right track, and I aced that test. I did really well after that. Kevin Patton: So he did what he could to nip that test anxiety in the bud, that was already developing, I was already beginning to be paralyzed. And he stopped that by first of all recognizing that I was having difficulty, and secondly by giving me some guidance, so that I could answer it on my own, do it well. And I’ll never forget that. So I try to be that kind of teacher for my students. Kevin Patton: I think if students know that you’re there to support them, and not to harm them, not to be the big bad guy, even if we’re not thinking of that in our own mind, we’re thinking we’re helping them, it builds character if we’re tough on them, well I don’t wanna be that kind of teacher. Because I think that provokes test anxiety, and that doesn’t do anybody any good. I want to be the kind of professor that is there to help relieve their stress. Kevin Patton: Now, one other thing before I leave that notion of being the helper rather than the harmer of my students, in terms of anxiety and stress on the test, has to do with timed tests. I know that we’re all taught to believe that timing our tests, and having short times for tests, is morally superior to any other kind of testing, like open-ended times, that there’s something deeply wrong with an open-ended time on a test. And I have come to believe the opposite. Kevin Patton: I think that, yeah, sometimes they do need to be timed for practical reasons, there’s gonna be somebody else standing out in the hall wanting to use your classroom, you can’t let a test go on and on and on. But we need to think about how important is timing, really? That is, time limiting a test? Kevin Patton: What I try to do is design exams and tests, in-class tests … By the way, my online tests are hardly ever timed. But when you get in a classroom, you have to time it because of your ability to stay in the room, and your patience, staying there all day with a student who just won’t give you back their tests. So there are some practical considerations. Kevin Patton: But what I try to do is design a test that, if you’re well-prepared, you can do it in a really short period of time. I don’t think there’s any magic number of questions that need to be on a test for it to be a legitimate test. It probably needs to be more than one or two questions, if they’re objective items. If it were an essay test, maybe one or two items would be okay. Kevin Patton: But my point is that we want something that’s manageable in, let’s say, half or three quarters of the time allotted. And then students who struggle, for whatever reason, to do it within that amount of time still have plenty of time to get it done, they still have that extra time that’s kinda built in because you’ve written it for a shorter time period. And there are students who are brilliant students but they don’t think the way you think or the way I think. It takes them time to gather their thoughts. Kevin Patton: I know a student who is brilliant, he’s a brilliant student, and he does well on tests as long as he’s got a little extra time to do it. Because he really needs to grapple with what’s being asked. He really needs to think through how he’s gonna answer that before he answers that. And the way his mind works is he won’t even attempt to answer it until he’s ready to answer it. He’d rather just leave it blank than go on and put something down. He just won’t do that. Kevin Patton: And there are a lot of people who think that way. It’s foreign to me, but to these students that’s just the way their brain works. So now those students, they can do it, it’s okay. Kevin Patton: Another thing that we need to think about is what about those whose first language is not English? I don’t know about you, but I’m seeing more and more and more of those students. I had my own family members, just a couple of generations ago, had to struggle with being in classes that were taught in languages that was not their first language, and that takes extra time to interpret what’s being asked, and to formulate an answer that’s gonna make sense. So if they get the right answer, they get the right answer. Why limit them in time? That’s something to think about. Kevin Patton: Coming back to the general idea of test anxiety being a learning challenge for some students, and according to Kevin’s theory of test anxiety it’s a challenge for all students at one time or another, it’s like any learning challenge faced by students. A lot of what needs to be done to fix test anxiety has to be done on the students’ end of things. Kevin Patton: I went through a few things that we can do, and I’ll have a few more of those as we continue this, but I wanna switch gears over to the students’ end. What can they do? Because really it’s up to them to do a lot of the fixing. Kevin Patton: I see my role as their mentor and their coach, and as the person who can help them find and implement solutions to their challenges. And that includes any challenges they have with test anxiety. So I have a role in that, but the role is to help them help themselves. Kevin Patton: The first step, I think, is to encourage students to recognize their own test anxiety. The necessary first step in fixing anything is to recognize and then admit to the problem. However, it’s too easy to stop there. Many students just blame their poor performance on test anxiety, and leave it there, just say, “Well, I didn’t do well because I get test anxiety. Period.” And they don’t take any steps to reduce test anxiety, and by doing so improve their performance. The trick here is admitting to test anxiety, but also taking responsibility for personal improvement. Kevin Patton: What I do is teach students about metacognition, and why it’s important for learning in general, but also for figuring out what’s going wrong and how it can help them figure out what’s working or not working to fix any problems they have, like test anxiety. Kevin Patton: For anyone who’s aware of sports, or any kind of game, you’ve heard that the only path to success includes keeping your head in the game. In other words, you have to think about what you’re doing or are about to do, and you have to understand how you are thinking and make sure that you are thinking correctly, that is, in a way that will let you perform at your best level and get you closer to your goal. Kevin Patton: This idea of thinking about thinking, or another way of saying it is thinking about your learning, is called metacognition, and it works both in sports and in learning. It’s especially important and effective in learning a subject as overwhelming as human anatomy and physiology, I think. In other words, if we regularly step back from what we’re doing and think about the strategies we’re using, or the strategies we’re forgetting to use, in our A&P course, we will do better than if we just struggle along trying to get it and trying to push it all into our brain. Kevin Patton: What do we think about when we’re doing this metacognition? I think the first thing we need to look at is how prepared are we for the test. That’s the first thing I ask my students, is, “How do you know that …” Because they’ll tell me, “I knew it all, but I just got test anxiety.” “Well, how do you know you knew it all? Are you really well prepared? Tell me what you do to prepare,” and so on. Kevin Patton: I think being prepared is probably the most effective trick in reducing test anxiety. But I also think it’s probably one of the least often practiced by students who are having difficulty in their test scores. Kevin Patton: Now, there are a bunch of different kinds of preparation for a test, as you know, all of which are critical to reducing anxiety and improving performance. The most obvious preparation, of course, is to study the concepts that will be tested. Well duh, of course. Kevin Patton: But there’s another kind of preparation that’s a bit less obvious. I think that students need to make sure that they have the skills needed to study effectively. Many college students just haven’t learned effective study skills, and so their preparation for a test isn’t adequate. Putting some time and effort into learning how to study improves test preparation and reduces test anxiety. Kevin Patton: And I know that our A&P students feel overwhelmed as it is, and they don’t wanna take extra time to learn how to study. But you and I both probably have a long list of testimonials from students who took the time to learn some study techniques that were able to maybe even study using less time, but more effectively. Because now they have more effective techniques. Kevin Patton: So it really does work to take that extra time away from the A&P stuff proper and just learn some study techniques. And of course, I think one of the most effective, and I’ve said it before in this podcast, is retrieval practice. It’s practicing the test. Of course, you’re gonna gain confidence if you’ve already practiced taking the test. I even provide practice tests for my students. That’s what my online tests are, they’re practice tests so that when they get to the midterm exam and the final exam, which are face to face tests, they already have all kinds of practice for it. Kevin Patton: They already know what kind of items they’re gonna get. They know what format it’s gonna be in, they know there’s gonna be hard questions and easy questions. They know what kind of questions are gonna be the hard questions. They’ve had practice solving the kinds of problems that I’m going to ask them to solve. So they are very prepared when they get there, and I think that helps reduce their likelihood of getting test anxiety. Kevin Patton: Another bit of advice that I give them, and I think we all give them this advice, is don’t cram. There are at least two kinds of cramming that can increase test anxiety. The first is putting off their study of the concepts to be tested until a day or two or three before a test. Kevin Patton: Even though we hear the opposite all the time, nobody really works best under pressure. Haven’t you heard that? “I’m putting it off because I work best under pressure.” No, nobody really does their best work when they wait till the last minute. You can say that all you want, it’s just not true, at least not the kind of pressure created by putting off your studying, right? So don’t tell me that. Kevin Patton: What the students really need to do is study a little bit every day, that’s called spacing. If we’re doing retrieval practice and we space it out, we do a little bit every day, or maybe multiple times spaced throughout the day, now we’re doing spaced retrieval practice, which was the topic of episode one of this podcast. That’s how I started off this whole long story that we’re telling. Kevin Patton: By trying to squeeze it all into a few days, or one very long night, they’re just increasing their stress levels. They’re increasing their stress levels tremendously, and that stress is gonna carry over into the testing situation itself, I guarantee it will. Kevin Patton: The second kind of cramming is that fast and furious review of notes and flashcards while they’re sitting in the hallway before they go into a test. You can always tell when a professor is having a test, because all the students are jammed in the hallway waiting for that previous class to get out, and they’re all furiously asking each other questions and going through. Kevin Patton: Some of that is okay. But even if you’ve studied well, and really know your stuff, this frantic “one more time review” can really ramp up the stress levels. One of the factors involved, you do this with other students who are projecting their anxiety on you. You don’t want that, you don’t wanna receive that anxiety from the other students. Kevin Patton: Or, like my Jeopardy! situation, you don’t want them trying to build their confidence by tearing you down or trying to intimidate you. That can happen, that happened to me that time, at least. And that’s what can happen when a student gets involved in these pretest pushes, high pressure, “let’s go over it one more time” type thing. Kevin Patton: Especially when a question comes up like, “Well, I learned it this way”, “Well, I learned it that way”, oh my gosh, which one is right? Now you’re building anxiety, now the intimidation factor comes in. So a student may have arrived to the building with confidence, and might be in a good place, and that could go right out the window when they’re surrounded by their panicked classmates. Kevin Patton: What do you do instead? Well, instead of getting all revved up, I say think about the fact that you’re going into a test, and think about how nervous you are, assess how nervous you are. Even a well-prepared student can still be very nervous, or even a little bit nervous, and have some level of test anxiety. But if we focus on diverting that nervousness into excitement about demonstrating our abilities, nervousness can actually be a booster rather than an obstacle. It can lead us toward better performance rather than worse performance. Kevin Patton: And this is a technique that’s used by a lot of public speakers, actors, champion athletes, and I would wager more than a couple university lecturers to channel their nervousness into excitement and energy for their presentation. Like anything, we have to focus on changing our perspective when we’re in the moment of stress, and we have to do it regularly so that we get better at it. Practice, practice, practice, right? Kevin Patton: Another technique that I’ve not used, but the research shows that it works, is taking a nap. There’s recent research that shows that napping before a test or exam is just as effective as cramming. I’m not sure what that says, because I don’t think cramming is too effective. Kevin Patton: I’ve offered advice on the value of sleep and napping a bunch of times in the blog that I do for students, it’s at theapstudent.org. And we don’t know exactly how it helps us learn and remember, but neuroscientists are getting closer and closer to that answer. Kevin Patton: But why it works isn’t as important as the fact that it does work. When students are getting ready for that exam, that recent research points out that cramming can have a bit of an edge if your goal is short term memory. But for long term memory that’s needed for most exams, especially cumulative exams or comprehensive exams, napping works just as well as cramming does. And let’s face it, napping is way easier than cramming, right? Kevin Patton: And A&P students need that long term memory so that they can take it with them out of their A&P course. They’re required to take anatomy and physiology courses in their program because A&P gives them the essential concepts they need to succeed in their later courses and in their careers. So why waste their time and effort by purposely throwing away all those concepts by failing to get them into their long term memory? Kevin Patton: Of course, napping can’t be the students’ only preparation for a test, you know where their thoughts are gonna go with this when you tell them about that. “Oh, I don’t have to do any studying, I just nap and that’s just as good.” No, no, no, it’s just as good as cramming. It’s not as good as all of that spaced retrieval practice, which is really what’s building their long term memory and their ability to get that information out of their memory in a way that’s useful to them. Kevin Patton: There’s a lot of work they need to do to prepare for a test, can’t let them off the hook there. But in the brief time they have right before the test, it might be better to get the brain in shape, perhaps allowing some sleep time consolidation and organizing of knowledge, than to do that fast and furious review and revision maybe that they’ve already been, not only working on, but have moved past by doing spaced retrieval practice ahead of time. And taking a nap might also prevent the escalation of test anxiety that often accompanies that last minute cramming. Kevin Patton: Another technique to reduce anxiety is to have them write their stress. It seems weird at first, but studies show that if you write out your stressful feelings right before you take a test, your test anxiety will be reduced, or even go away. Kevin Patton: Even if what you’re writing is that you are way, way stressed out and that you hate the test, and you hate the material, and you hate the course, and you hate the A&P professor, and you hate that you did not study, your anxiety will dissipate at least a little bit. But the study shows that it often dissipates quite a lot. Have your students try it. You might be surprised at how effective it is. Kevin Patton: But there are other ways to reach a level of serenity before the exam, which can help reduce test anxiety. For example, I tell my students, “Just take a leisurely stroll inside the building or outside the building before the test, depending on what the weather’s like and how crowded things are in different places.” When they do that I tell them to focus on what you see. Just what’s around you, the trees, the cars, the people walking by, whatever, rather than focusing on the test or even on the course content. Kevin Patton: In our department we have a couple of aquariums that face the hallway. Students can just go and watch the fish. Is there something around in your test environment outside the test room where students can find a moment of serenity? That might help. You might suggest that they try it and see if it helps. Maybe there are windows looking out onto some peaceful scene, or looking out into a parking lot where you can focus on the people and the cars moving around. Unless there’s a traffic jam, that might be worse. “Oh look, that person just got run over by a car,” that’s not gonna get you to the point of serenity that you need. Kevin Patton: It’s probably not a good idea to have them seek out digital serenity, though. That’s kind of the go-to place where we all go these days. Going onto their device and looking at videos or social media or digital games, or even listening to music, that might actually ramp up their anxiety more than it will get rid of it. Kevin Patton: Another way to reach that moment of serenity is coloring. You probably already know how useful anatomy and physiology coloring books are to help learn things, but I think they’re just as effective to just let you chill out a little bit while you’re learning. Kevin Patton: So you might tell students, “Bring that A&P coloring book with you, and just while everybody else is rapidly going through their flash cards, just sit and do some coloring.” It doesn’t even have to be an A&P coloring book, they make coloring books for adult relaxation. They have mandalas in them, and Celtic knots, and things that you can color. And the purpose is to reduce your anxiety. Or even a Donald Duck and Mickey Mouse coloring book for a kid, that might be useful to just get your mind away from A&P, get away from the test, and just chill out for the few minutes before a test. Kevin Patton: Another tip, and this is a very important one, is tell your students, “Don’t forget to breathe.” I know that your students are not gonna forget to breathe, what I mean by this is they should try focusing on their breathing as if they might forget to breathe. There’s a lot of research that shows that you can reduce anxiety by putting everything out of your mind except to focus on your breathing. Kevin Patton: This is especially effective if you gradually slow your breathing to a very slow rate, maybe half your normal, resting breathing rate, with long inspirations and even longer expirations. This will work even better if it’s practiced every day, not just when it’s time to take a test. Remember, practice, practice, practice, make you better at everything. Kevin Patton: And by the way, this breathing trick can also be very effective when a student finds their anxiety level increasing while they’re taking a test. Boy, I wish I would have known this when I did my Jeopardy! tryout. By taking just a moment to focus on their breathing right and slow it down, they can reduce their anxiety. Kevin Patton: If they instead focus on their anxiety, which is what I did in the Jeopardy! tryout, instead of focusing on their breathing, things are just gonna get worse. And I’m a case and point, it just gets really bad. So focus on breathing, not on the test, not on the stress. And just a few minutes of that usually gets you to snap out of it, and you can continue to move on. Kevin Patton: And maybe you’ll have to do it a few times throughout the test, but it’s only a moment or two, and since timing isn’t an issue, hopefully, in your test, and you have those extra few minutes to work with, then it’s gonna work even better. Kevin Patton: I always tell my students that all of these things work way, way better if you practice a daily stress reduction technique, if you have a daily stress reduction practice. I just mentioned that slow breathing to relax is more effective if it’s something that’s practiced regularly. There are many other stress reducing practices that students can do every day, so that they’re always starting them from a less anxious state. Kevin Patton: With many of these techniques, mastering them also allows us to take some control of our anxiety when it does pop up in a stressful moment like a test or exam, or even a faculty meeting, for that matter. Kevin Patton: What does it for me is tai chi, I love tai chi and I find it to be very relaxing. I do it every morning, and sometimes at other times throughout the day, and if I know I’m entering a stressful situation, if I were ever gonna try out for Jeopardy! again … Well they do it a different way now is my understanding … But let’s say I was gonna do that again, you’d bet I wouldn’t be standing there talking to the people who are telling me how smart they are. I’d find some corner where I can do some tai chi. Kevin Patton: Other people like meditation, nature walks, yoga, fishing, there’s all kinds of relaxation strategies. So you find one that works for you, one that you enjoy. And they can all have that anxiety reducing effect, and they can also have the effect of putting your mind there. I can actually do tai chi while I’m doing something else, if I were taking an exam I could do tai chi in my head. Kevin Patton: My tai chi teacher told me about that, he said, “When you’re standing there in a long line and you’re getting frustrated, just think about the moves that you would make in tai chi,” and that gets your mind off of the stress you’re having waiting in that long line. And I though it was goofy, but I tried it a few times and it really works. So I can imagine that would help on the test too. Kevin Patton: Or yoga, you could just in your mind’s eye think about yoga, think about fishing, think about casting that line out, and think about that peaceful, outdoor environment you would be in if you really were fishing, or the gentle bobbing up and down of your fishing boat, and so on. Kevin Patton: Besides helping students with test anxiety, a regular practice like that is a good life skill to develop. It’s a good way to promote relaxation and reduce stress going into that next course, going into their career. And health careers, I understand, can be pretty stressful sometimes. Kevin Patton: Another thing I tell my students is to maybe take some lessons in managing stress. The one trick for reducing stress that does not work is to just chill out. People tell you that, “Just chill out, just relax, just get it out of your mind,” you know, managing stress is a skill. It’s not something you can just push out of your head, unless you’ve developed the skill to be able to do that. And like any skill you need to learn it somewhere. Kevin Patton: There are a lot of colleges and universities that offer workshops and mini courses in managing stress, or specifically in reducing test anxiety. There might be other opportunities for lessons in yoga and tai chi and meditation and fishing and all those things in your local community. So look around, and maybe you could post those opportunities on your course website, or syllabus attachments, or at least just have them handy in your head so you can mention it to students who come to you seeking help with test anxiety. Kevin Patton: Now, if you have a student whose test anxiety is severe, here’s where maybe they should start, rather than with the other advice that I’ve been sharing. Many colleges provide professional academic counseling that can help students learn to manage their test anxiety. Or, if the college professionals can’t do that, they usually can at least refer them to a professional who can provide them with specific help that they need as an individual. And of course another option is to ask their physician for help, or for a referral to another professional who can help them with their anxiety. Kevin Patton: There are a lot of professional counselors out there who specialize in test anxiety, and the student may have a medical problem with their anxiety that goes beyond just the test anxiety, and they would need specialized medical care for that. Professional help can often have a dramatic effect on the life of a student by helping them find the tools they need to reduce test anxiety and improve their academic performance. Kevin Patton: I have a bunch of links to advice for students in the show notes on the episode page, at theapprofessor.org. Check them out. You might wanna give your students those links or adapt that information for your course or your students. Kevin Patton: Please read the instructions before using any of the techniques described in this podcast. Hi there, this is Kevin Patton with a brief preview of the next episode of The A&P Professor, the podcast for teachers of human anatomy and physiology. In episode 33, I’m going to give you some information about the genetics of hair color, focusing on new information about the inheritance of red hair, and how complicated the inheritance of hair color, or really any complex trait, is starting to look. And I’ll have new information on how we form those sensory maps of our body in the brain, so that we know where in or on our body all that sensory input is coming from. 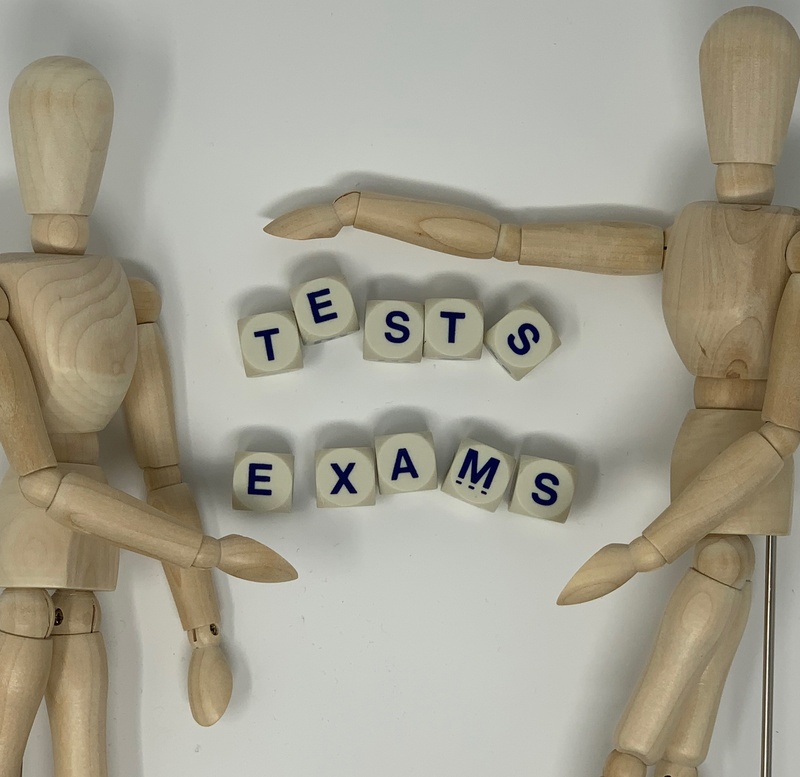 And listener Krista Rompolski gets us started in talking about how frequently should we be giving tests and exams in the A&P course. The A&P Professor Podcast is sponsored by the Human Anatomy and Physiology Society, HAPS, promoting excellence in the teaching of human anatomy and physiology for over 30 years. Did you know that registration for the annual conference next May in Portland Oregon is open? Did you know that there’s a substantial early bird discount? So check that out now at theAPprofessor.org/haps. Well, it’s time for some word dissections, and the first one I have is a term called “omnigenic.” Omnigenic refers to an emerging idea in genetics that all genes affect every complex trait. In other words, it’s not just one or two or a few genes that is determining the nature of any one complex trait, that really all genes in some way, directly or indirectly, affect that complex trait. So breaking down the word, “omni” means “all.” “Gen” mean “genes” or “genetics.” It literally means “create,” but is used here to mean genes or genetics. And then the I-C ending means “relating to.” So omnigenic means relating to all genes, which makes sense given how we’re using that term. The next term that I want to dissect is a little bit longer, so that makes it more fun to dissect, right? And that is “primary somatosensory cortex,” which is located in the postcentral gyrus of the cortex, just posterior to the central sulcus. That’s where our tactile body map is located, where we determine where that tactile sensory information is coming from in our body. The first part of that term “primary” is an ordinary English word, but we can break down into its word parts to help us understand it. So the “prim” part means “first.” And the “-ary” ending means “relating to.” So primary is going to mean relating to something that’s first or something that is of the first order of importance. Then “somatosensory,” that’s a little bit more fun to dissect, comes from “soma,” which means “body.” Then the “T-O” part is just a combining syllable to get us to the next part, which is “sense” or “sensory.” Of course, “sensory” is a word that means “related to senses.” So literally what somatosensory means is related to our body senses. And then “cortex” refers to that outer layer of gray matter of the cerebrum of the brain. What “cortex” means literally is “bark.” I think knowing that translation is very helpful to both us and our students, because it helps them remember where it is and what it’s like. It’s like thick bark on a tree. It’s that outer part of a tree, of a tree’s structure. It’s the outer part of the cerebrum in this case. So it’s an outer layer, and that helps us remember what it is. Okay, so we got two terms out of the way. I have a third term for us to dissect, and that’s “homunculus,” plural is “homunculi.” What I’m referring to here in particular is that map, or even sometimes it’s shown as like a 3-D model of a person, that represents that somatic body map that’s in the primary somatosensory cortex. It’s very disproportionate, because we know that that map has a lot more processing room dedicated to our lower face, for example, and our fingers, as opposed to our thigh or our arm or forearm. So that’s like a little, miniature person mapped out in our brain. Or at least that’s a way of thinking of it, and that’s the way it’s often represented in diagrams. In the show notes and in the episode page, I’ll have a homunculus there so you can see what I’m talking about. But what “homunculus” literally means is “a little person.” So you break that down, the “hom,” H-O-M part, is from “homo,” which means “man” or “human.” And then the “-unculus” ending is really just a way in Latin of making “homo” diminutive form. The diminutive form means that it’s small. So “homunculus” means a “diminutive man” or a “small man.” So yeah, it’s small. It can fit on a page, right? It’s a tiny little, in this case, imaginary man, a diagrammatic man to help us kind of think about what’s going on in that somatosensory cortex. But we can also apply it to the little map that applies to the somatomotor cortex as well. The searchable transcript for this preview, and for the full episode, is sponsored by the American Association of Anatomists, AAA. You can find them at anatomy.org. In case you were wondering, yes, I do have another recommendation from the A&P Professor Book Club. It’s a book about evolution. You might think to yourself, “Now, wait a minute. In the typical A&P course, we don’t typically have a section on evolution. So why would this be important for A&P teachers?” And I’ll tell you why. Because everything we’re teaching is a result of evolution, right? So even if we don’t mention it when we’re talking about the structures or the functions of the human body or we don’t bring in evolution when we’re answering student questions about why things are the way they are in the human body, at least it’s there behind all of that information. I think as up-to-date teachers, we need to stay up to date in the core principles of biology in general, in certainly those areas like evolution that certainly do overlap what we’re doing in A&P. So this book is titled Improbable Destinies: Fate, Chance, and the Future of Evolution. It’s written by Jonathan Losos. That name may ring a bell, because he is the lead author on a popular general biology textbook. So you may be using that at your school. The name rings a bell for me because for many years … actually like what? 40 years, he’s been a friend of mine. He and I started out as zookeepers together at the St. Louis’ zoo. See, there’s that zoo connection with a lot of people in the world of biology and A&P. Jonathan is one of them. When he’d been talking about his book for a long time, and he’s a really, really smart guy. He really, really knows a lot about evolution, and he’s also a great storyteller. So I was expecting a lot of good things from his book, and I was not disappointed. This book is great. It’s told as a series of stories. I mean, we’ve talked about this on this podcast before, the best way to learn something is in the form of a story. In this book, Jonathan has story after story, some of it based on his own research. Now Jonathan’s specialty is lizards and the evolution of lizards. So a lot of the stories relate to the evolution of lizards. He goes into other organisms as well, like even the duckbill platypus. But it’s all evolution, and all of us organisms, we all are participating in this process. So even though it’s not strictly about human evolution, it’s going to explain some current ideas and some emerging ideas about evolution that I think all of us ought to be up to date on. Besides that, it’s just a really interesting book to read. It’s actually very fun to read, I think. So here it is Improbable Destinies: Fate, Chance, and the Future of Evolution by Jonathan Losos. That’s L-O-S-O-S.
Well, we’re getting close to the end of the term, aren’t we? And the end of the calendar year. Now’s a good time to remind you, you still have homework due. Yeah, I didn’t forget. And I hope you didn’t forget either that a few episodes ago, I asked each of you to share an episode of the A&P Professor Podcast with at least one other person. I know, it’s kind of late in the game and things are rushed and it’s kind of hard to fit in there. So if you can’t do it now, that’s okay, you can have an extension. I’m very lenient when it comes to podcast homework. I really do appreciate those of you that have already started sharing it. Also, now’s a good time to start debriefing this last term, or maybe debriefing for the entire calendar year. You may remember back in episode 17, I talk quite a bit about how helpful the process of intentional debriefing at the end of a term can be. One of the benefits, besides really kind of seeing what progress we have and kind of emphasizing to ourselves that we have make some progress and we have accomplished some things and students have been successful in our course, but it also kind of cleans off our desk, both our physical desk and our mental desk so that we really can approach this upcoming time off with sort of a clean mind and a clean desk and not really have any lingering things on our mind. We’re organized and ready to go for the next term, but we’re also ready to set things aside and really attend to ourselves and attend to our own mental and physical well-being. So now might be a good time to go back to episode 17 and kind of review some tips on how to do that end-of-term debriefing.